changing age at initiation of screening colonoscopy for different risk mechanisms. predictions and the type of data needed to calibrate risk factor models. including diet, activity level, and medication use [5,6]. assumptions about how risk factors affect specific disease processes and the magnitude of these effects [7-9]. between different risk mechanisms is sparse. information about the reasons for these disparities . 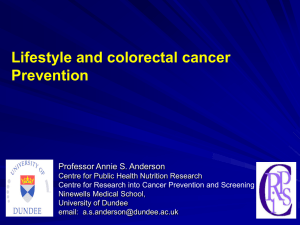 incidence, growth, or progression to colorectal cancer. birth and a time of non-CRC (other-cause) death. 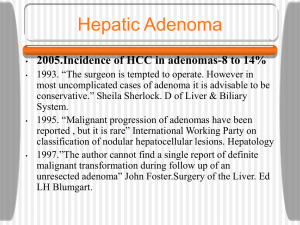 adenoma at time t in the absence of any risk factor. dij(t) is the maximum diameter of the jth adenoma in the ith individual at time t after initiation. time to reach 10 mm: -In((d∞ - 10)/(d∞ - d0))/l. Where Ф(.) is the standard Normal cumulative distribution function, size is adenoma size in mm, and a is age at adenoma initiation. individuals’ entire life (e.g., race). 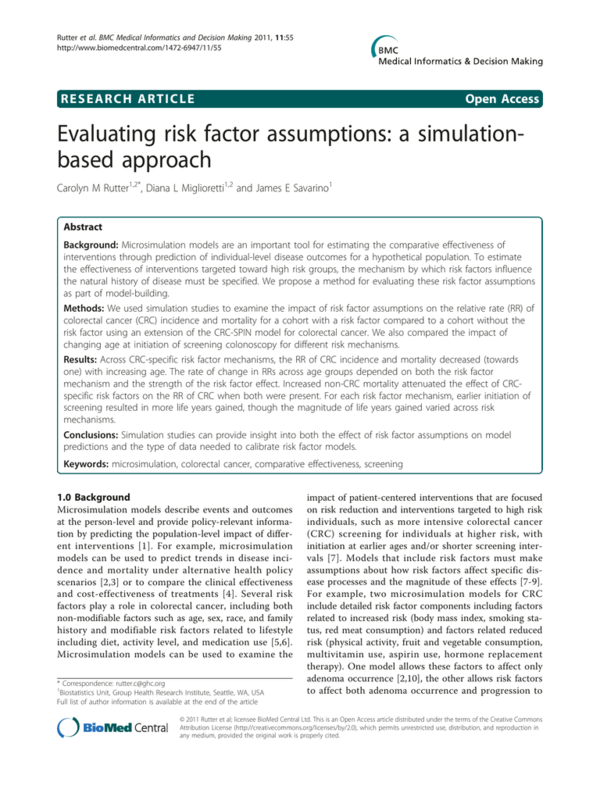 The first simulation study examined the effect of different risk factor mechanisms on predicted CRC outcomes. or 50% reduction in the time to reach 10 mm (corresponding to exp(-δ2) = 0.9, 0.8, 0.7, and 0.5, respectively). in survival due to death from other causes (corresponding to exp(δ 5 ) = 0.95, 0.9, 0.85, and 0.8, respectively). chosen to be large to minimize sampling variability. enrolls individuals at age 45, with 35 years of follow-up. regimen reflects current guidelines with screening beginning at age 50 and subsequent screening every 10 years. 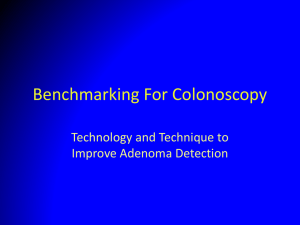 adenomas are found, then the individual continues routine screening and returns for colonoscopy in ten years. one cohort compared to another across 1,0000 simulated parameter values . 2.03 for ages 55-64; and 1.72 versus 1.73 for ages 65-79.
sojourn time had little impact on the RR of CRC incidence or mortality. these effects is consistent with the structure of the CRCSPIN model, which assumes that the probability of transition to preclinical CRC increases with adenoma size. factors to cohorts without risk factors. 95% prediction intervals are shown in parenthesis. differences in the overall relative risk of CRC mortality. mortality reduction compared to initiation at age 50. Predictions are shown with 95% prediction intervals. * Estimated difference in life years gained per 1000 individuals with screening initiated at age 45 versus initiation at age 50 years. Risk factors provide clinical information that can potentially be used to target screening and treatment . factors that affect both CRC risk and other-cause survival. and possibly other-cause (non-colorectal cancer) survival. implemented all of the programs used to generate and summarize results. Biostatistics Unit, Group Health Research Institute, Seattle, WA, USA. health outcomes: A review. Med Decis Making 2010.
cancer mortality in the U.S.? 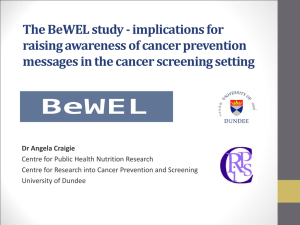 Cancer 2006, 107:1623-1633.
screening: a decision analysis for the U.S. Preventive Services Task Force. Ann Intern Med 2008, 149(9):659-669.
colonic neoplasia and hyperplastic polyps in asymptomatic individuals. and race. Gastrointest Endosc 2009, 70(1):96-108, 108 e101-124. Understanding and Improving Health and Objectives for Improving Health. treatment) to reduce future rates. Cancer 2009, 116(3):544-573.
mortality with an empirically-calibrated microsimulation model. Cambridge, MA: Harvard University; 2005. Health Initiative. Cancer Epidemiol Biomarkers Prev 2011, 20(7):1368-1378.
disparities: understanding mortality differences in minority populations. J Clin Oncol 2006, 24:2179-2187.
tumor stage and survival for colorectal cancer in an insured population. diverse cohort. Am J Gastroenterol 2006, 101(4):823-830.
asymptomatic black and white patients. JAMA 2008, 300(12):1417-1422.
microsimulation models. 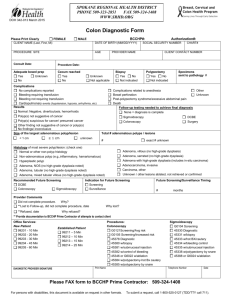 J Am Stat Assoc 2009, 104(488):1338-1350.
account cancer mean sojourn time. Int J Cancer 1997, 73(2):220-224.
statistical approaches. Am J Epidemiol 1998, 148(6):609-619.
colonoscopy. J Natl Cancer Inst 1990, 82(22):1769-1772.
by back-to-back colonoscopies. Gastroenterology 1997, 112(1):24-28.
review. 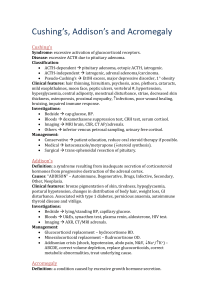 Am J Gastroenterol 2006, 101(2):343-350. 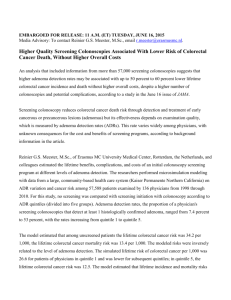 Screening colonoscopies by primary care physicians: A meta-analysis. Ann Fam Med 2009, 7:56-62. 32. Simpson EH: The Interpretation of Interaction in Contingency Tables. Inference. 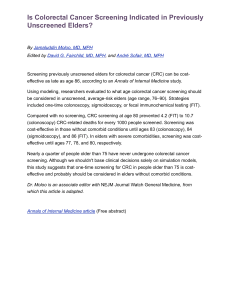 Stat Sci 1999, 14(1):29-46.
cancer screening disparities. Arch Intern Med 2008, 168(12):1317-1324. 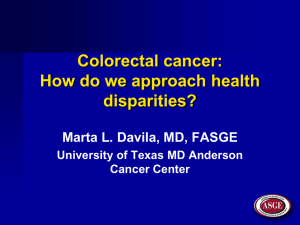 Colorectal cancer: How do we approach health disparities?